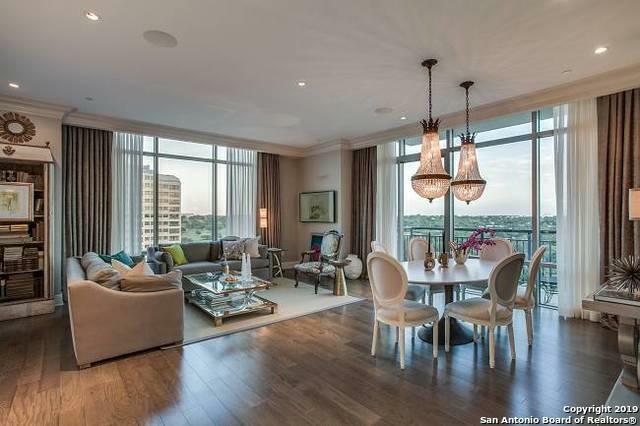 Totally remodeled condo by New Orleans designer is waiting for you! 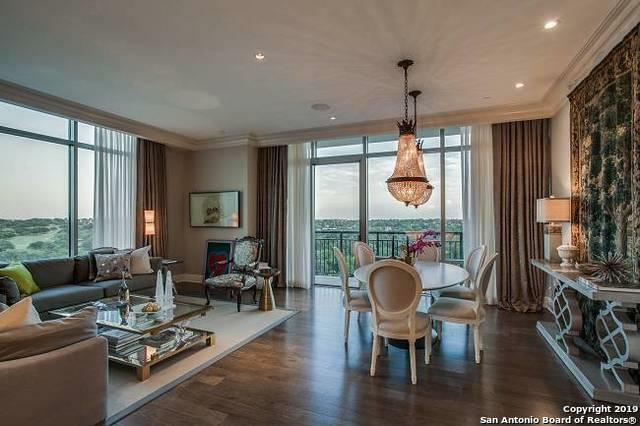 Fabulous views of downtown, Ft. Sam & San Antonio country Club. 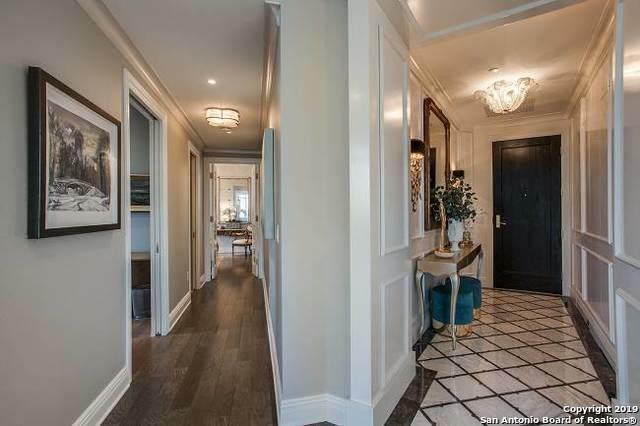 Spa-like master bath w/ beautiful travertine shower, custom closet & gorgeous master suite. Crown molding, wood paneling & floor to ceiling windows & wood floors throughout. Double balcony to view fireworks!